Globe Motley Mid is back again in a new Vegan colorway. 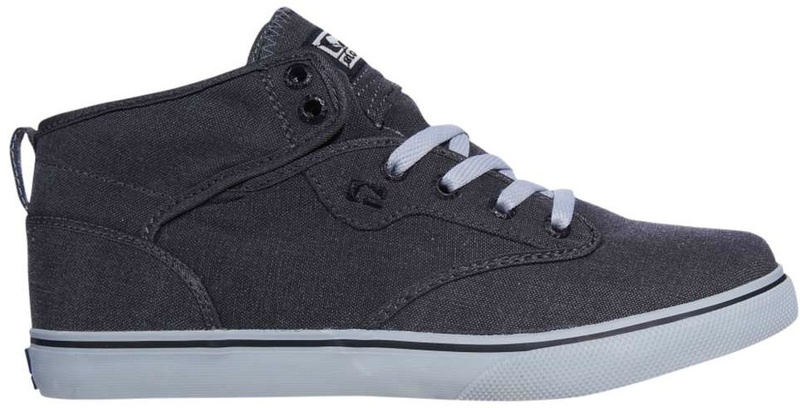 The all grey coated canvas upper is slightly more wear resistant then your average canvas skateboard shoe. A solid toe cap gives a smooth wear surface. Both the collar and tongue are lightly padded, significantly less then the last Motley Mid we posted in July. The vulcanized soles are super grippy and have deep treads to hold off the flat spots.